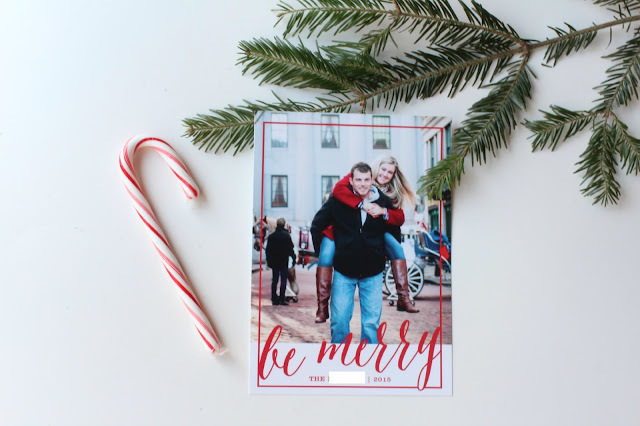 This is the first year that Steve and I decided (well, I decided...) to send out Christmas cards and I'm so glad that we did! I'm a huge fan of Shutterfly and Minted, but since I noticed a sweet Living Social deal with a company called Photo Affections, I decided to try them out. The cards came out great and we ended up using a photo that our Wedding photographer took last year at our December Engagement Session. I'm a complete slacker and have still not physically dropped the cards in the mail yet, but they are stuffed and ready to go! I even purchased a cute stamp and included red crinkle paper to piss people off decorate the envelopes, all thanks to Targets dollar section! Did you send out Christmas Cards this year!? 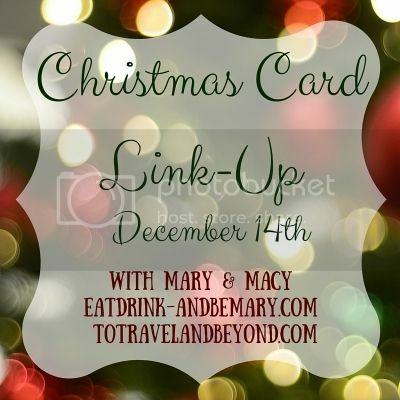 Link up and show us yours! I love your cards! They are so cute! And the photos you took of them are adorable! I haven't mailed mine out yet either, but that's happening this week! Thanks so much!! Mailed them out yesterday! What a cute card! I love them...and the ways you're making the envelope festive too! Your card is so cute, and I love that y'all were able to use a picture from your engagement shoot from last year. 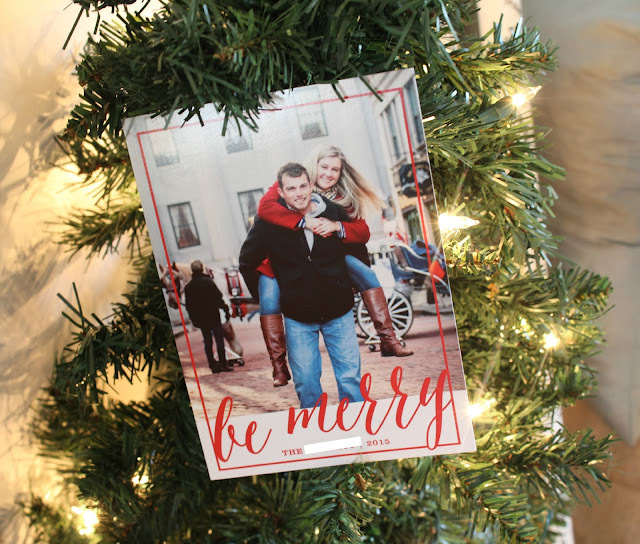 Sometimes dropping them off in the mail box is the hardest part about sending out Christmas cards! Your Christmas card is FABULOUS, lady! I love how festive it is! Your cards are perfect! That photo looks great, and I love that stamp! Thank you! Target $1 section! I love these cards. I'm loving all the designs that are out this year, and you definitely scored a good one. Also your engagement pictures are too cute. Thank you! :) I know, it was hard to choose a design! So many good ones.